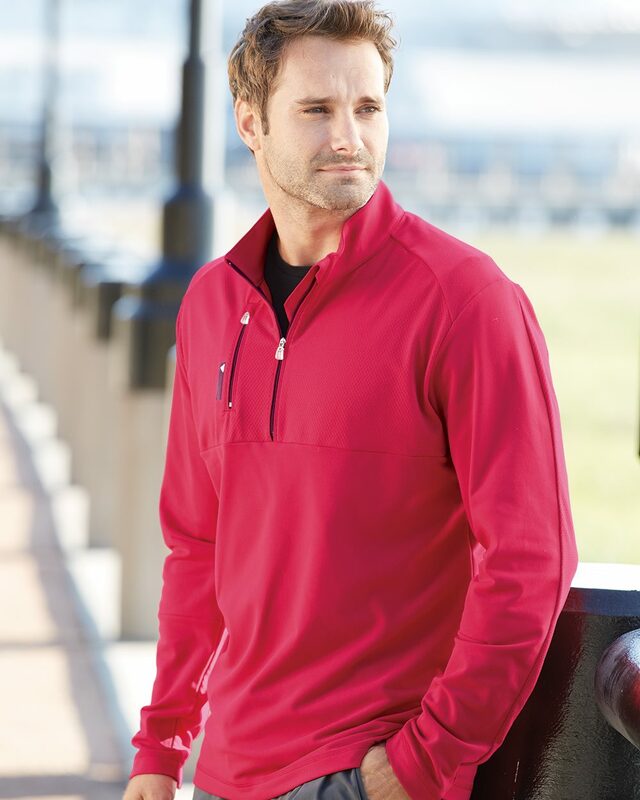 Adidas - Mixed Media 1/4 Zip Jacket (A195) 8.3 oz., 87/13 polyester/elastane. Self-mock collar. Banded cuff and bottom hem. Right chest zip pocket. Contrast adidas right chest and back neck logos.